Daily Illuminator: SJ Games Ships Up To Boston For PAX East! March 23, 2018: SJ Games Ships Up To Boston For PAX East! Convention season is in full swing, and we're heading to the northeast for PAX East, April 5-8! Booth TT11 is going to be chock-full of gaming, especially the Munchkin Collectible Card Game. 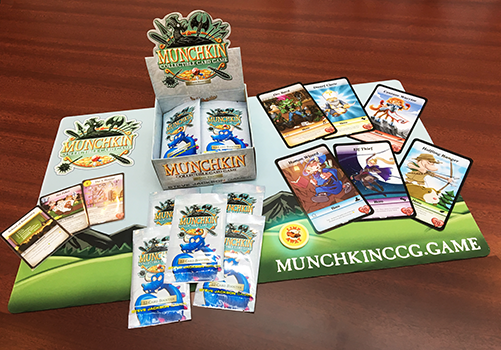 Speaking of the Munchkin CCG, we're going to be running one of our first Prime format tournaments at the convention! This event will be capped at 32 players, and we'll have some awesome prizes for the winner, including giant, alternate-art Hero cards, as well as booster packs! You will have to provide your own deck for this tournament. Signups will be at Tabletop HQ, so make sure you get there early to avoid missing out. We'll also have our traditional Munchcathlon, a huge Munchkin tournament comprising a variety of Munchkin games, all mixed up. Tons of munchkins enter, only one can win! You can find a full list of our Munchkin events at the convention, including our learn-to-plays and tournaments, here. And if you are interested in chucking some dice, check out our Zombie Dice event! Eat brains! If you aren't feeling competitive, we'll also have demos available at the booth, and our retail section will have starters and boosters to purchase. 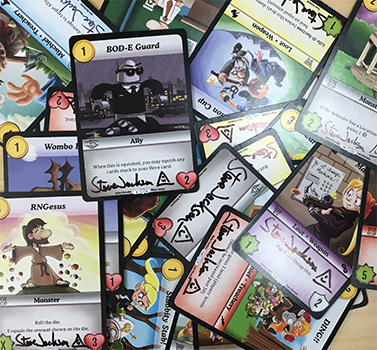 We'll even be bringing along our card machines, this time stuffed with a limited supply of Munchkin CCG single cards, with some special signed cards randomly inserted! This will also be the first time we'll offer Munchkin CCG staff challenges, where you can beat a staffer to win an oversized promo Hero card of their choice (while supplies last). And if you're looking for some regular Munchkin promos, just ask; we'll have our convention stash on hand and we love to hand out loot. Whether you're packing your own deck or just want to learn how to play, swing by booth TT11 for your Munchkin CCG fix at PAX East!